Artists may apply for all opportunities for which they are eligible. Applicants must submit a separate application form for EACH opportunity. To apply for any of the opportunities below, send us the following by Monday May 1st, 2017. EXTENDED UNTIL MAY 6, 2017! Dances of approximately 2 to 6 minutes, in any style. 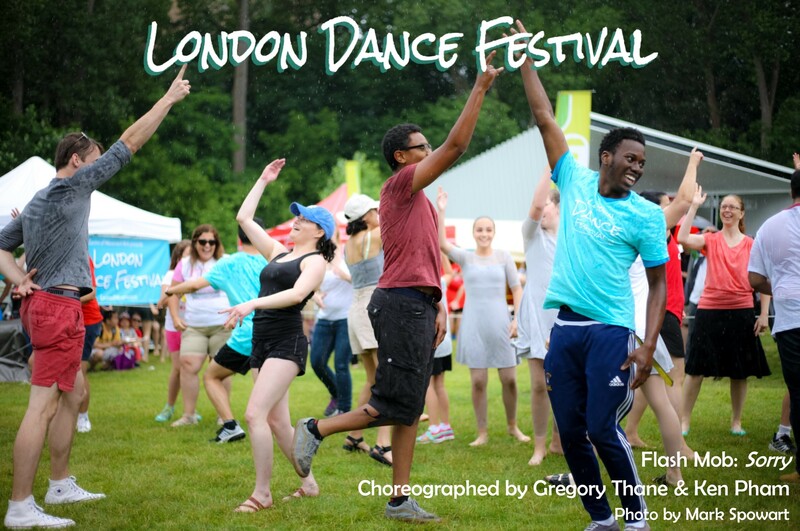 Choreographers ages 14 and up are welcome to apply with dancers of all ages. From all submissions we will select approximately 12 pieces. Choreographers will receive an honorarium. Performances will take place outdoors on grass or concrete surfaces. Workshops of 45-60 minutes in any dance or movement style will be open to public participation. Facilitators must have at least three years teaching experience. We will select 8-12 facilitators from all submissions. Facilitators will receive a teaching fee. Workshops will be outdoors on grass or concrete surfaces. This will be a celebration of the diversity of cultures in London’s dance community. Dances of approximately 3 to 6 minutes are welcome, in any style or cultural form, and may include dancers of all ages. From all submissions, we will select approximately 12 pieces. Choreographers will receive an honorarium. This is an outdoor venue, performances will take place on grass or concrete surfaces. Dances of 3 to 15 minutes by emerging artists in all styles. Choreographers and performers ages 16 and up are welcome to apply. From all submissions we will select approximately 10 pieces. Artists will receive a performance fee. This is a ticketed, theatre performance with professional lighting. Dances of 10 to 30 minutes by established companies, in any style. From all submissions we will select 1 to 3 pieces. Artists will receive a performance fee. The Spotlight performances will be paired with other festival events, and may be in a theatre or outdoors on grass or concrete surfaces. Please specify your venue and surface preference, if any, in your application.